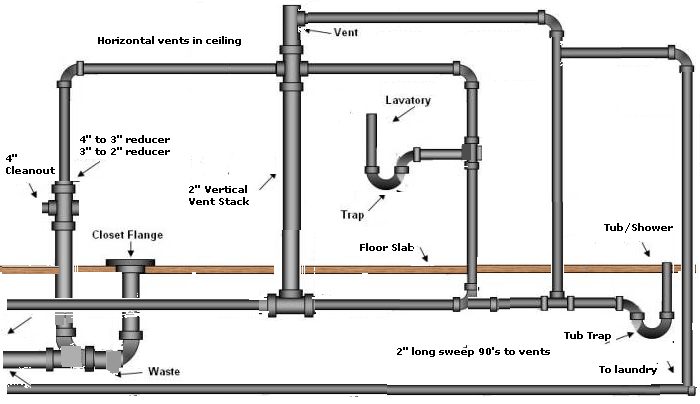 The previous post accounts for the biggest open question about the plumbing in the master bathroom–do we need the dry vent for the toilet? Well, what would it hurt anything right? In the family room bath the toilet is at the beginning of the 4″ run that is code now going out through the foundation It is just before the 4″ cleanout. 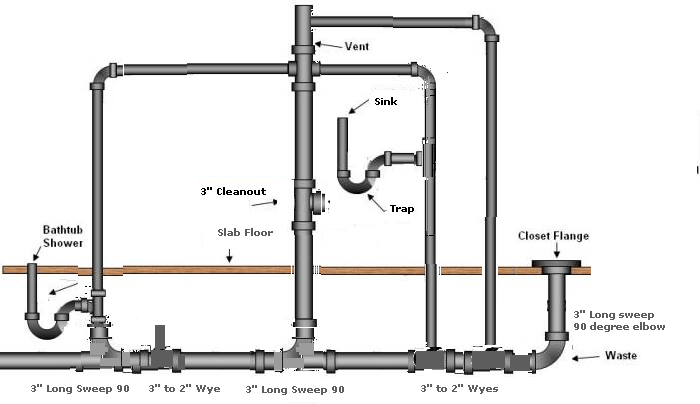 There is a requirement to run the laundry in a separate pipe to the sewer from the bath fixtures. Which seems easily accomplished. These are two inch lines. Will put the utility room floor drain on that pipe too. 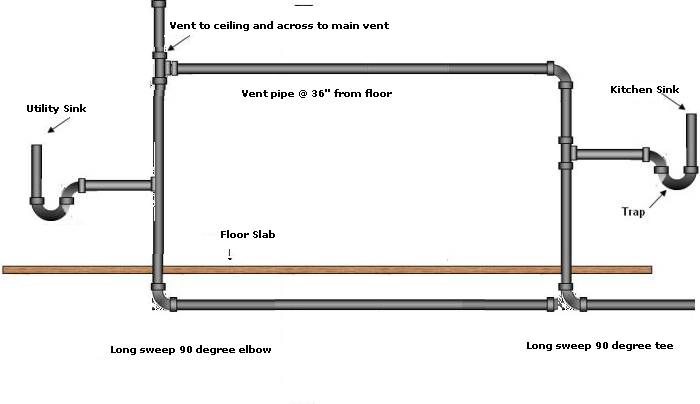 There will be a utility sink at the end of the 2″ kitchen run, and the kitchen sink will vent below the counter to a vertical vent that will meet up with the main vent in the false ceiling/attic. Voila! This entry was posted in Construction, House Systems, Plumbing. Bookmark the permalink.